WordPress Design and Development books are a great source of knowledge. When it comes to learning Books are still our best friends. Available in both hard and soft copies, reading books has become convenient over time. Kindle editions are a sort of revolution in the way books have been seen. In this instalment of our book series, I am including the books which will help you understand and polish your WordPress Design and Development skills. The book is not for Beginners and requires the fundamentals of PHP, HTML and CSS. The book is based on Genisis, a powerful theme framework, and allows you to learn in the framework of normal English and codes. Genesis brings security and optimization to your website. So if you don’t want to struggle with huge instruction manual and focus more on building sites, this a great book to start with. The book includes simple yet powerful examples. Advice from the author guides you often, as he himself has a design background. This being one of the best WordPress Design and Development books, you will get vast explanations of classes, filters and functions in the Genesis Framework. The book discusses the technical aspect of installing, running and developing own themes. You will be guided to develop websites which are really flexible. You get to develop parts of the websites which can be easily customized by your clients and desired ways. The book basically guides you through the experience of developing websites, themes for your clients and provide ease of use to them. This definitely finds its place in the WordPress Design and Development books. Blogging a decade ago was a huge task. Coding the blog and then hosting it was not for new users. But now we have a different scene. Install a platform and write your blog. But to set your platform, in our case WordPress can be confusing for new users. To ease that, this book will provide you with a beginner’s guide to kickstart setting the platform. Making changes and styling existing blogs, optimizing contents, adding plugins and explore their functions will make you used to WordPress. The book also discusses details of WooCommerce and its effective use. So before you go for full-fledged WordPress Design and Development books, this book will introduce you to WordPress and help you understand its basics from a user or a clients perspective. This book is a WordPress Theme development guide. It requires the basic competency in HTML and CSS. The book will help you build WordPress theme from scratch using HTML and CSS. The Book has illustrated examples. There are thousands of WordPress theme, but in case you want to make one for yourself or for any client you need to develop your own theme. The book will guide you through the development of your first WordPress theme. The book explains the writing of the code in HTML and CSS and converting them into PHP to be used in WordPress. Worked examples make the process easy. Once you do this, you can add more features like menu, widget, and featured image to your theme. Making your theme responsive, accessible and discoverable follows. By the end of the book, you will be good enough to build themes based on your own ideas. So when you look at the WordPress Design and Development books for theme development, this could a great pick. Mobile devices have taken over the usage of the Internet. And if any website is not responsive to such devices, the business may suffer. So websites are now expected to be responsive to multiple screen resolutions. The book helps you build such responsive websites and lets you make the most out of WordPress. You will find out the best practices in automation of processes. In the later sections of the book, you witness the development of responsive themes and plugins. You also get to apply principles and best practices learnt in photo gallery, map page and different sections. You also learn about navigation techniques, select box, a framework with Bootstrap and Foundation. One more in the theme development section. This is a complete guide for theme development in WordPress. If you are already into web designing and have a wholesome idea of PHP and WordPress environment, this book takes you to the next level. Still, it starts from the basics and takes you to the ways of monetizing your themes in different ways. There are practical examples of real customization. The route to this goes through anatomy and hierarchy, loop and extensions. You can have this book to shorten your path to be a successful theme developer. We saw few development books, this one is especially for customization of your Website and blog with ease. You’ll find a beginner’s guide to build themes, and will be helpful for all expertise level. Skills you require for a better understanding of the concepts are HTML, PHP and CSS and can be applied in different platforms including Drupal, Joomla and Blogger. It will require your 24 dedicated hours and you’ll be controlling the look, feel and behaviour of the website you develop. The book act as a stair and you will find the current topic built on the previous lesson. You’ll see practical examples on theme cases like magazine, portfolios and mobile environments and a lot of customizations in headers, backgrounds and creating templates. the book also helps you enhance your developed themes on the addition of plugins and widgets, child theme. Further, you also get to learn to update themes, using CSS, taxonomies, custom post types, and marketing your skills. At the end of the book, you learn troubleshooting techniques. The book shares experience and advice from the author on dealing with clients, manage a project team, manage large projects. This will help the readers to push the limits and serve clients in having the type of they need and help it stay competitive enough to succeed in the marketplace. The book is the third and revised edition and is for developers. The contents are of an advanced level and expect you have basic knowledge of programming scripts. The book has well-explained examples and provides you with additional exercises and tips to solve these exercises with the aid of newest tools and features on WordPress. Real projects ease the process of learning and give you a developers point of view towards WordPress. The book also gives access to a website where you can download codes from. The books help you exploit the platform in various ways. You’ll also get a guide on migrating a website to WordPress. You can consider this book an integral part of your WordPress Developer Training. The second book in section, which deals with the details of WordPress as a platform. This will give you all the know-how of this prominent Content Management System. The book mentions ways to master install and navigate between the tools of WordPress and its Development kit. Once you get a grip on the framework, you can build websites in WordPress within minutes. The book discusses the CMS starting from the technical aspects of installing and starting its use. You get to understand the easier way of installing compared to what other books mentions. The book also explains the dashboard in details. The book will take you through the ways you can use WordPress virtually. Plugin API is introduced with examples and explanations. Further, you learn to customize your projects according to demands. Basically, the book discusses the capabilities of WordPress. It will let you explore its extension capabilities to the fullest. 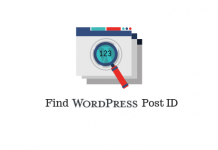 Any you now different business have different requirements, you’ll learn ways to extend WordPress using plugins to achieve a particular function. Navigation between API function is discussed in details, which makes it interesting. Different levels of complex plugins are also discussed in details. In the later sections, you learn to design the Administrative Panel and editing tools. The table of content will give you a better understanding of all topics. This book is one more powerful resource for the development of WordPress extensions. It deals with enhancing of features and uses RESTful API for an innovative interaction. So if you are into developing extensions and want to optimize the development, this book is for you. The book will help you learn widely about WordPress development standards and norms. The book starts with the planning involved in development. It takes you through the core features followed by its extension with custom plugins. If you are looking for time-bound WordPress Design and Development books then get your hands on this book. If you are looking for more of WordPress Design and Development Books you can visit the Pragmatic Bookshelf. We hope that the list serves as the right resources and you are making the most out of them. If you have just started with WordPress you can refer these Handpicked Books to Kickstart WordPress. We are happy to announce our own set of e-Books on Tutorials in WordPress and WooCommerce. If you want us to list more of such resources let us know in the comment section. Previous articleHow to skip Cart page and redirect to Checkout page in WooCommerce?